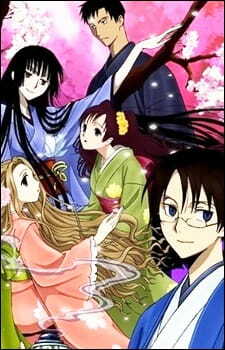 The xxxHolic Series is an excellent series about modern folklore, discussing a wide range of thought-provoking topics. The OVA does not disappoint either. Art: Everything you could expect from the xxxHolic series is here and thank goodness there was still lots of WatanukixDomekixHimawari. Sound: The Score is very important for a filim in the super natural realm and captures the reflective mood of the protagonists amicably. Character: Yuko was the central character and with Watanuki his "rival" Domeki and his love interest Himawari the movie represents a glimpse at their life. Enjoyment: The OVA although short at only 2 eps leads us to the dream of sorts but is the weakest part of xxxHolic to be honest, but that’s mostly because the others were simply that good. Mostly building up for future OVAs. All in all it is still an awesome mystery-drama that even though it has nothing to do with the continuity, stands out with really imaginative visuals and very naturally evolves and lets the viewer guess what the heck is going on.